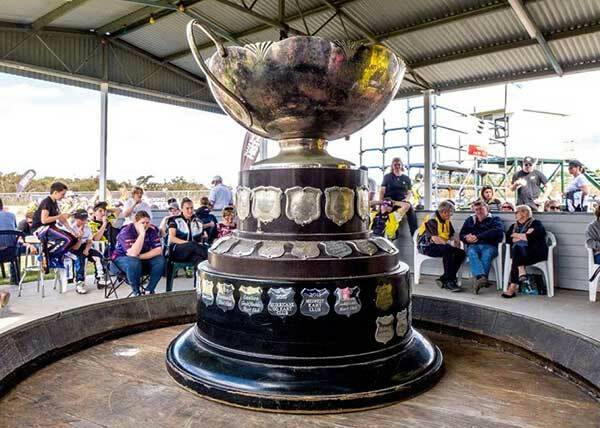 The picturesque coastal city of Albany, approximately 400kms south of Perth, hosted the WA State Titles for 2017. Fortunately the weather was generally fine with only a handful of sessions being wet. 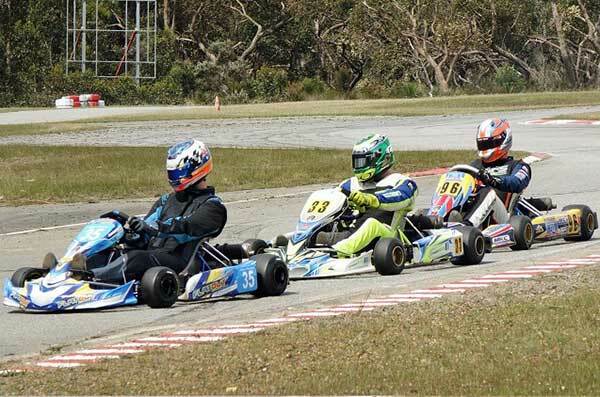 The Albany City Kart Club did a superb job of organising and running the event, it all appeared to go smoothly, although I’m sure it was a hectic time for the committee & volunteers behind the scenes. This class was full of hard luck stories and close racing. 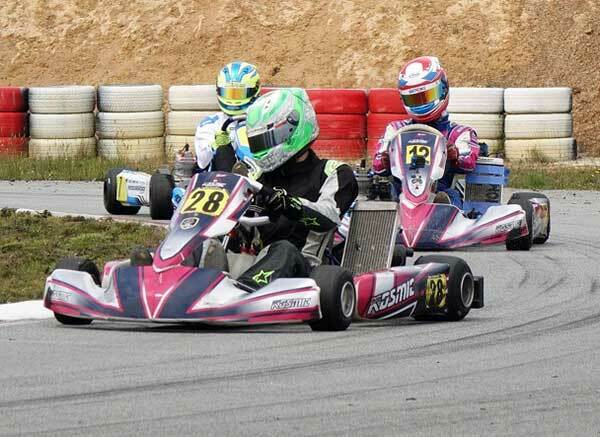 Nash Ferraro, Jackson Mitchell-Rosenauer and Toby Maiolo had been the in-form drivers leading into the event. 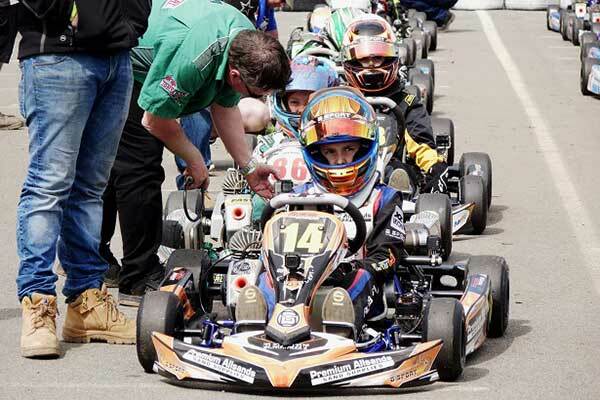 Bunbury rookie Maiolo didn’t need a second invitation when both Ferraro and Mitchell-Rosenauer struck trouble early in the final. He went on the win a very close race with Lachlan Clee & Zane Rhodes completing the podium, the three crossed the line with only 1 sec covering them. A huge field of 26 Cadet 12s made for some exciting racing over the weekend. 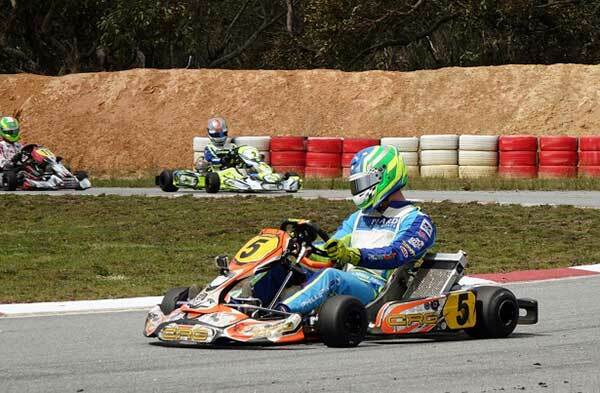 Throughout the heats there wasn’t a clear favourite for the title and this showed in the final result with Luca Nici in his Ricciardo Kart taking the win only 0.13 sec ahead of Jet Demarte with Caleb Sumich rounding out the top 3. A quality field of Junior Lights fought close and hard for the coveted blue plate with the top 3 being covered by less than 1 sec. Second generation racer Max McRae drove a superb final to take the lead on the penultimate lap from the previously dominant Mason Harvey and took his first State Title. Craig Spencer was right on their bumpers to take the bronze. A wise choice of chassis for the meeting paid off for Craig Spencer in the heavy class, the little Arrow 28J was just too nimble through the tight sections of the track. 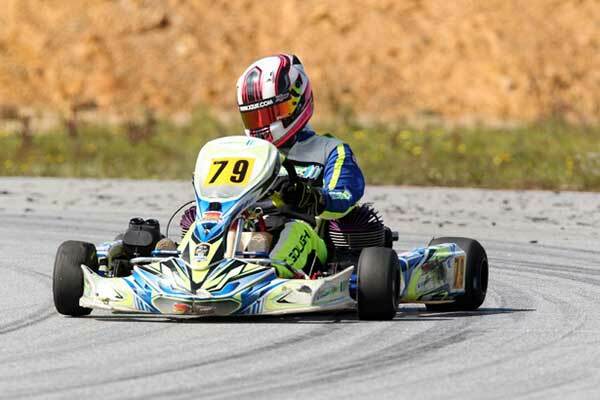 He went on win the final by almost 6 sec’s over Ryan Bender and a close following Jacob De Cerqueira. 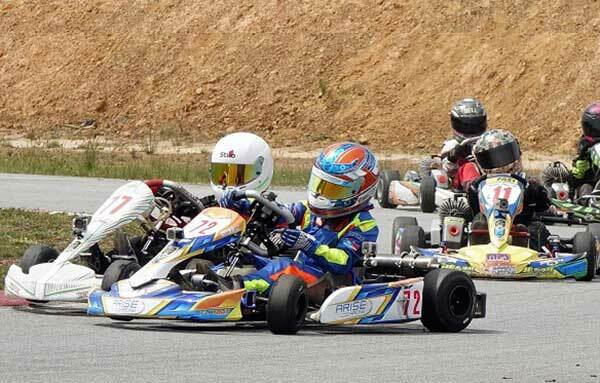 The premier junior class produced some fantastic racing with a different winner every race. In the race that mattered it was Jacob De Cerqueira who drove away to take the spoils from KA3 regulars Ryan Bender and Jake Sawyer. 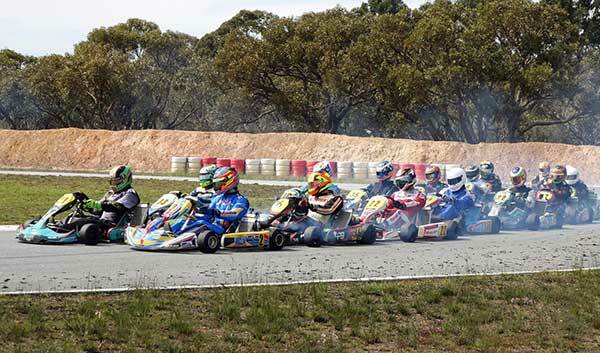 The hard luck story was Kieren Ellis who was running strong in 3rd when he struck Holly Panizza’s displaced wheel at high speed damaging the front of his kart, but was very lucky it missed him & the drivers behind him, unfortunately he DNF’d a lap later. Sam Dicker pulled out the results in the X5 Arrow prototype when it mattered winning the pre-final and final to add another blue plate to his collection. It looked like a Dicker family one-two at one stage but Keb Evans found the pace required to overhaul Tayla Dicker to take 2nd. 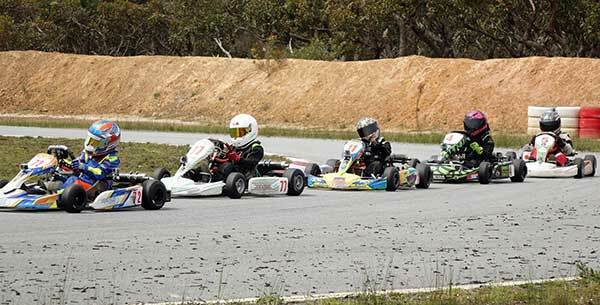 The top 4 for this race were covered by less than 1.5 sec with part timer Tom Howe taking a credible 4th. 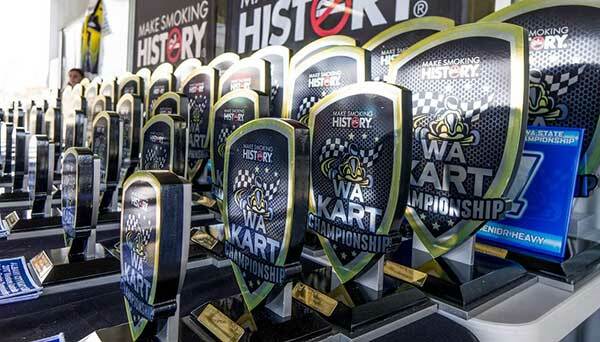 An impressive field of 17 karts battled for the medium weight title. Jason Betts almost clean swept the meeting with his colours only being lowered in heat 1 by Shae Thompson. 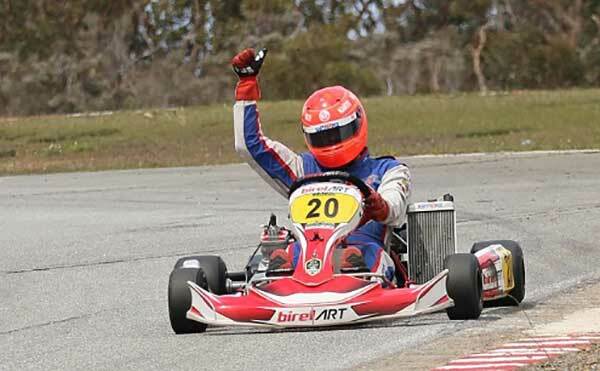 Betts drove away from the field in the final to take his maiden title with Simon Gwilliam taking the silver and Terrance Flynn-Dowell collecting the bronze. 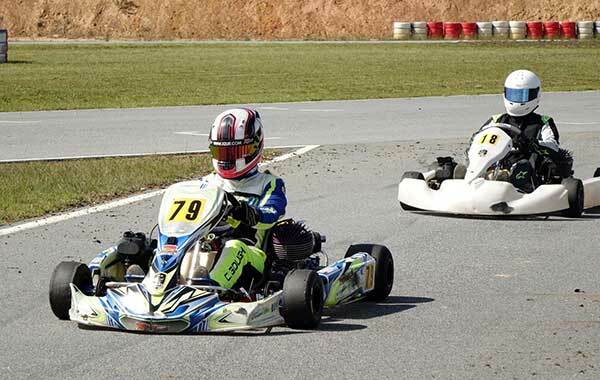 This class was always going be a close battle between the top 3 drivers. 2016 Champ Jake Burton went back to back, but it wasn’t an easy weekend with the former National Champ Brad Fitch and super quick local Dion Hounsfield battling with him all the way. Added to this Burton raced the final with a broken hand which occurred in the earlier TAG 125 Heavy final. Goes to show what adrenaline and will power can do! Eleven “old fellas” made the trip down to Albany and it was Andrew Freeman who came out on top in the final. Daniel Panizza was the only multiple race winner in the class and came home in 2nd and Richard Dekkers took home the bronze. The toughest class of the weekend was without doubt TAG Light. 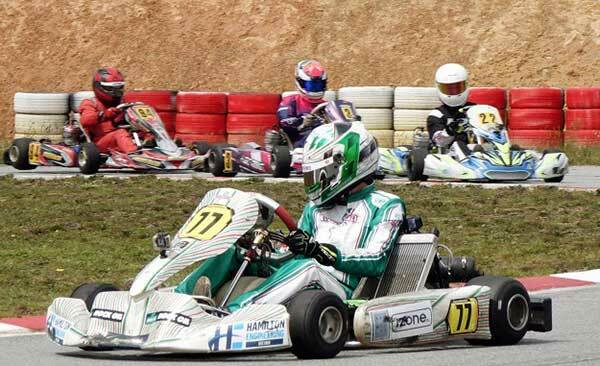 The depth of talent is amazing and this was demonstrated by the current champ & regular National Series podium placer Ben Harders finishing outside the top 5 every race. Kip Foster showed his years of experience to have the better tyres in the final over young gun Sam Dicker with Aaron Grossman taking an impressive 3rd. Another quality field of drivers battled it out for the title with Ben Harders looking to be the person to beat after clean sweeping up to the final. 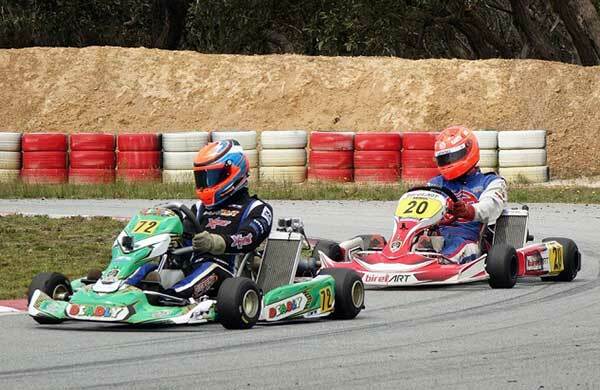 But it was the veteran Simon Gwilliam who made sure he had the tyres for the final to claim his 14th blue plate. 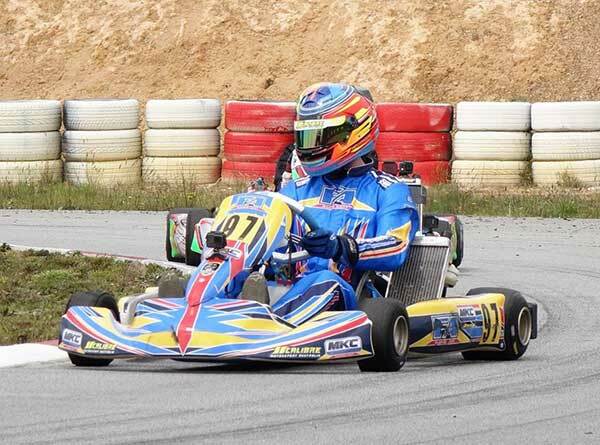 Harders bought it home for 2nd and Lloyd Bilick charged up from 11th in his Italkart to take the bronze. A wide variety of machinery rocked up to race to for the title. 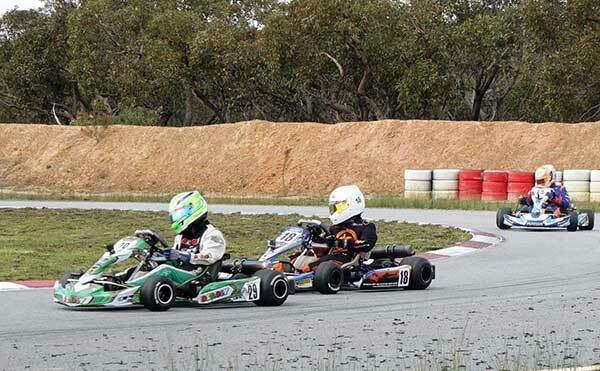 In the end Kalgoorlie’s Courtney Gough in her Comp Kart twin took advantage of her crash in heat 2 to use the fresher tyres to claim her maiden State Title over the KZ’s of Mitchell Perrella and Blayke Wagner. Overall it was a fantastic event. 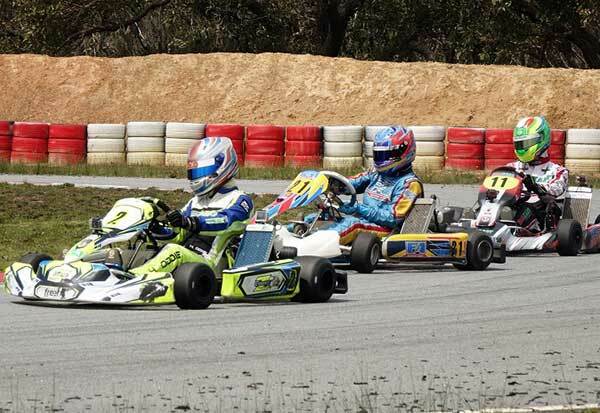 Well done to the Albany City Kart Club for hosting a successful meeting and thanks to the sponsors, officials and volunteers who help to make the meeting happen. On to Bunbury next year.